We are located in the Kona Plaza Condominiums. Directions: From Kuakini Hwy coming either direction turn on Hanama Place Road behind Big Island Grill. Follow the road straight back towards the Kona Plaza Condominium building and down the drive way where you will turn right. We are located in the first building to on the corner of the lower level. 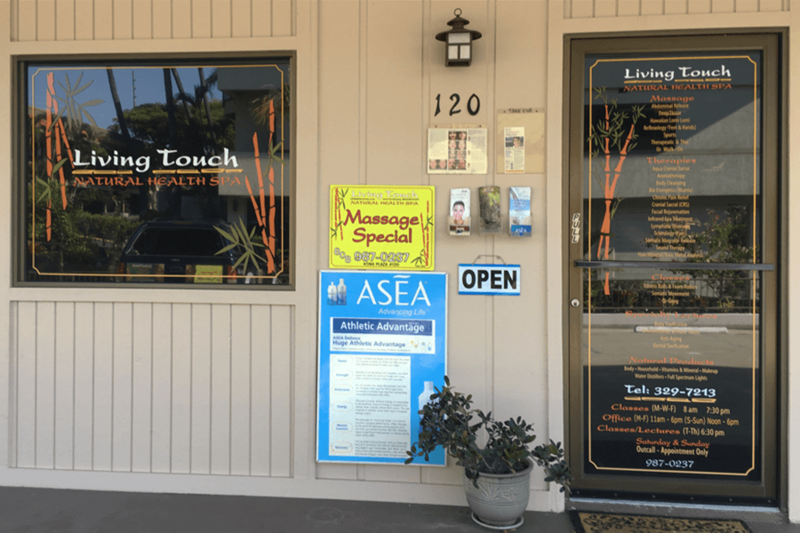 You will see the signs on our door that say Living Touch Natural Health Spa. For GPS coordinates click here.